Start early. When my son was four years old I got him a piggy bank to start saving for his mission. Starting early will help you develop better money saving habits, and it will also help you let interest work in your favor. Find ways to earn money. Ask your parents, friends and neighbors if they have chores you could do to earn money for your missionary fund like mowing the lawn, washing the windows, or other indoor or outdoor work. Budget! Make a budget, or plan, for how much of the money you earn will be saved for your mission. Allow your self some money to spend on fun things too, but you’ll probably want to save at least 50% of each pay check for your missionary fund. And don’t forget 10% for tithing. Open a saving account. When you get old enough and want to graduate from the piggy bank system, opening a savings account will be a safe way to store your money and it will also allow you to earn interest on the money you have saved. Get a part-time job. When you get old enough, ask your parents about getting a part-time job. 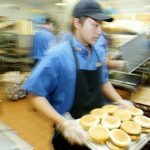 I got my first job working at McDonald’s when I was 16 years old. 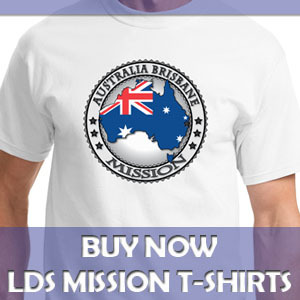 This was a great way for me to add to my missionary fund. 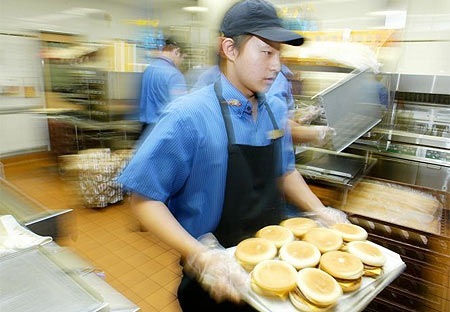 If your parents don’t want you to work during the school year, see about getting a summer job. Talk to your parents. For many of these options, you will need your parents’ help, so be sure to work with them to develop a plan for how your mission will be paid for. 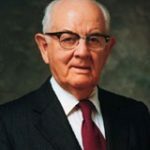 Even if your parents can afford to pay for your mission, as President Kimball said, it is a good idea for young men and women to pay for some or all of their own mission. The following are four examples of how young men are saving money for their missions. They come from Mission Made Possible, a New Era article in June 2004. 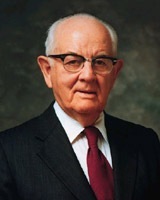 Adam Sessions, age 12, Morgan Park Ward, Chicago Illinois Stake. Adam’s plan is simple: “For every five dollars I get, I give two to my mission fund,” he says. He also always makes sure to pay his tithing. Starting at 12 might seem early, but Adam’s really excited that he has seven years to save for his mission. He’s not old enough to have a part-time job, but he does jobs for people in his neighborhood, such as emptying recycling bins, and shoveling snow from side walks. Along with his financial preparation, Adam has also set a goal to finish reading the Book of Mormon by the time he’s 13. He reads every day. David Montoya, age 17, Orland Park Ward, Chicago Illinois Stake. David’s paycheck disappears into his mission fund so fast you’d think it was one of the coins he can make appear or disappear at will. A master of the sleight of hand, David turned his magic hobby into mission dollars when he started working at a magic store and later performing as “Magician Monte” at local restaurants and birthday parties on weekends. Now that he’s attending a local community college, he has a job as a bank teller and only does his magic show on the side. “Your mission starts way before your mission,” David says, as he looks sage-like over the top of his glasses. 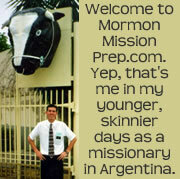 He’s been preparing since he was 12, when he decided he wanted to go on a mission. Sacrifice and discipline are what David credits with his successful mission-savings plan. He started putting away half his paycheck when he was 14. At 17, he almost has all his mission money saved. 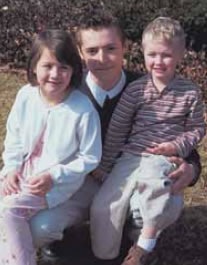 Anthony Haga, age 19, Rock Island Ward, Davenport Iowa Stake. Anthony’s first job was as a bagger at a grocery store on an air base. He saved 25 percent of his money for his mission fund at first. 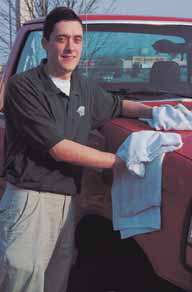 He later got a job at a car wash through a friend in his seminary class. He’s been working there ever since and has been saving half his earnings for his mission. A few months ago, however, Anthony realized he wouldn’t meet his goal if he maintained this saving pattern. He would have to step it up. So he cut his other expenses and started putting away much more money. And he counts it as a blessing of paying tithing that he also got a raise at work. He’s going to make it. 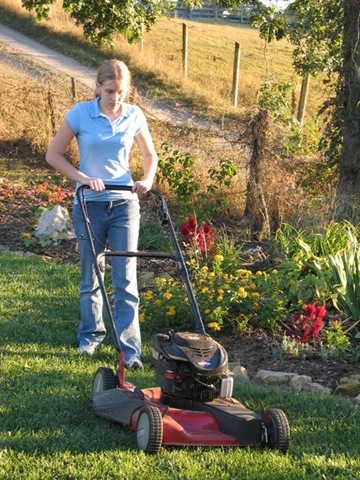 I am 13 years old and I have been working for my neighbors and my family. I haven’t been paying my tithing enough and my mom keeps telling me to. She has been the one who has encouraged me to save money for a mission. My family hasn’t been LDS for our whole life, but when I was 6 I had my mom take me to church and after a while she started to come with me. 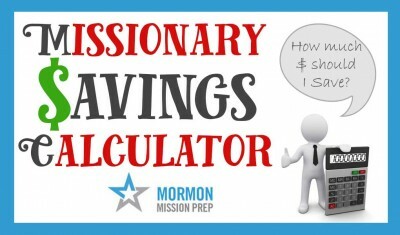 So I encourage everybody to save money for a mission.